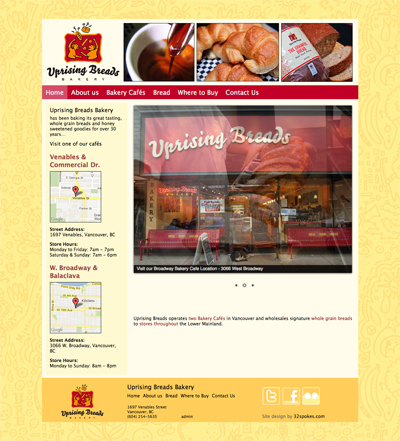 Goal: Focus on the nutritional value of freshly baked bread and goodies; provide interactive map pinpointing Uprising Bread availability in neighbourhood grocery stores. Target Audience: Health-conscience consumers in the Lower Mainland; wholesale buyers and distributors. 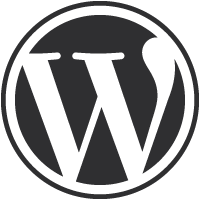 Scope: Complete redesign and installation of WordPress Content Management System as well as mobile theme for use with smart phones and tablets; social media integration. Result: Increased web traffic; donation program for poverty assistance groups streamlined; social media integration expanded. "We have a great relationship with 32spokes. We love their product as much as they love ours."